Item # 317889 Stash Points: 4,995 (?) This is the number of points you get in The Zumiez Stash for purchasing this item. Stash points are redeemable for exclusive rewards only available to Zumiez Stash members. To redeem your points check out the rewards catalog on thestash.zumiez.com. 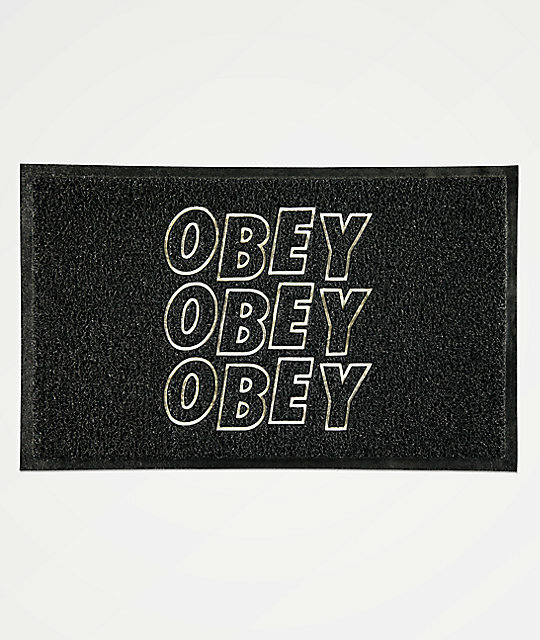 Decorate your humble abode with signature streetwear styling with Obey's Jumble Stacks Black Doormat. Featured with the brand's signature logo script in contrasting white, this durable mat is a must have for Obey fans. Jumble Stacks Black Doormat from Obey. Black colorway with white logo script graphic. 28.75" x 17.75" | 73cm x 45cm (approx. ).